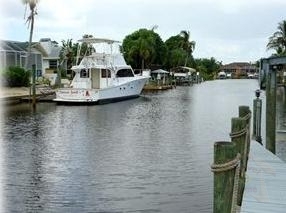 This Beautiful house situated in a salt water canal with direct access to the Gulf of Mexico. No bridges no locks. 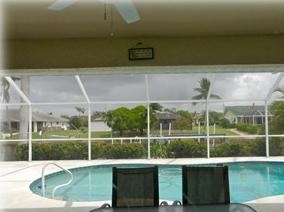 Relax at home, swim in the pool overlooking the canal or fish off your own boat dock. 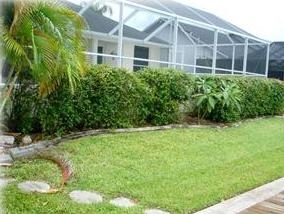 This spacious waterfront vacation home with living area is tastefully furnished throughout. This provides all new furniture, beds, linen, towels and TV\'s etc. The master bedroom has a king size bed with a Flat TV and access to the pool. 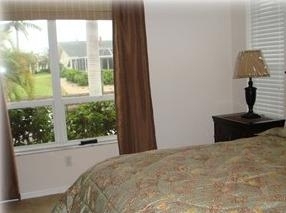 The second bedroom has a queen bed with a beautiful view of palm trees. The third bedroom has 2 twin beds. There is also a den where you can read or use your computer. The house has a Great Room with an open model plan and a new Flat TV. The house is located in a beautiful and quite neighborhood. It is close to restaurants and stores. The house is a split model where you can enjoy your privacy on one side of the house with access to the pool and the guests or children on the other side. The vacation rental rates are $170 per night.